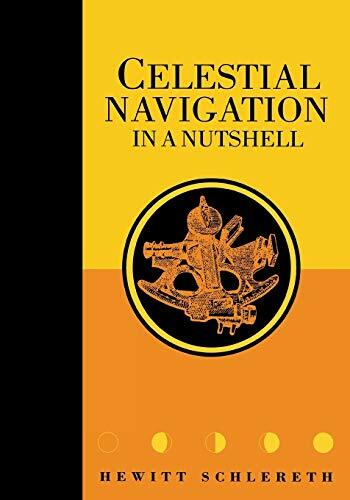 Once the universal system of navigation out of sight of land, celestial navigation is now more often a backup to electronic navigation methods, chief among them the Global Positioning System (GPS). However, among cruising sailors the use of a sextant to locate one's position on the ocean is still a skill treated with pride and respect. U.S. Power Squadron courses in celestial navigation remain popular for this reason, and because it's wise to have a backup method of navigation if your GPS receiver malfunctions. The Complete On-Board Celestial Navigator responds to these realities with the ideal package for today's market. 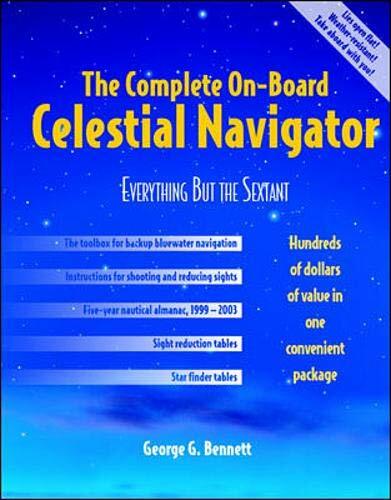 Traditionally, the navigator would learn sight-taking skills from an instructional book; identify stars or planets for "shooting" sights using a graphic or tabular star finder; obtain the precise position in the heaven of the chosen star, planet, moon, or sun at the time of the shooting from an annual nautical almanac; and "reduce" the sextant sighting using sight reduction tables. All these components together add up to an unwielding package. Learn to plot your own course by looking to the sky.